This is an image of a Bumpy Red Starfish in the Philippines. This image was taken at low tide as this starfish was laying on the dry sea bottom as the tide receded. 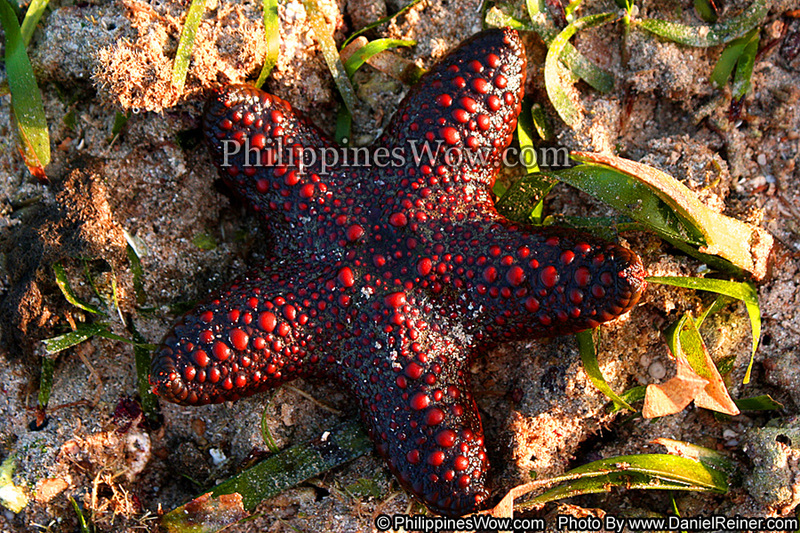 There are many different colored starfish in the Philippines that have a lot of bumps on it but most of them have the same shape.